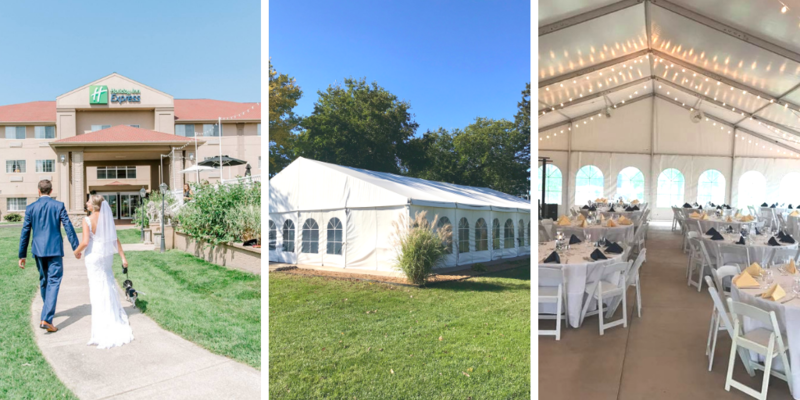 Most of you may know that we have a tented wedding venue overlooking Lake Michigan May 1st through October 31st, but we get asked questions about it all time and wanted to share a few of those answers with you all! Whether you are getting married or know of someone who is, we think this is the perfect venue showcasing all the beautiful things Southwest Michigan has to offer. Not to mention it’s located within walking distance of the Holiday Inn Express ensuring your guests make it back to their hotel rooms safe after a few celebratory cocktails. What is the tent’s capacity? The LakeHouse Tent holds anywhere from 80 people to approximately 150 people. Our tent rental includes round tables, white cushion chairs and standard linens needed for your wedding. As well as the use of our lounge furniture, yard games and portable restrooms. When is the venue available to be rented? We have the tent up from May 1st until the end of October and it can be rented any day of the week! Who provides the food and alcohol? Since we are a full service restaurant, we can provide both! Due to our liquor license, we have to provide the alcohol for your wedding and we offer a few different bar packages for you to choose from. Do you allow live music or just DJs? We allow both! Due to our city ordinance, music but be off by 11:00pm and all wedding guests must be cleared out the tent by 12:00am. Unfortunately, there is not, but our venue is less than 3 miles from two local beaches. Do the sides of the tent open? Yes they do! If it is a gorgeous day, we slide open 3 of the 4 sides offering the perfect indoor, outdoor wedding experience. Are my wedding guests allowed to leave the tent with cocktails? 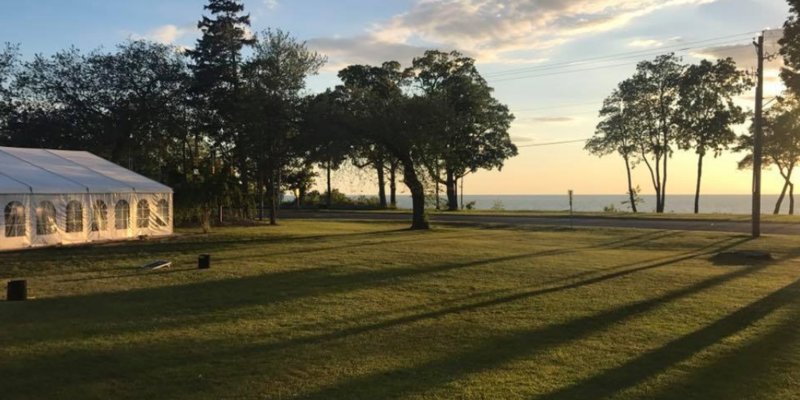 A really cool thing about our property is that we have a resort liquor license which allows your guests to leave the tent, play yard games or capture the breath taking sunset with a drink in their hand!